Ductless systems offer instant cooling on demand and even temperature control for each room as you use it. Whether you are already an owner of a ductless system looking for tune up, maintenance, and repair help or you’re considering ductless systems in Livermore, Dublin, and Pleasanton, CA, Superior Mechanical Services, Inc. can help. 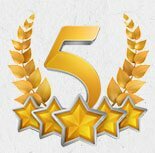 With more than 6 decades of experience helping residential and commercial customers in Livermore, our reputation speaks for itself, and you’ll love the results. What Makes Ductless Such a Popular Choice? People are taking note when it comes to the advantages of ductless systems. Are you moving into a home without ductwork? Ductless systems in Livermore, Dublin, and Pleasanton, CA could be a money saving option compared to installing ducts, vents, and a central air system. Looking for a more eco-friendly option for cooling your home or frustrated with the uneven cooling of central air? Ductless offers ultra efficiency and never wastes energy in the rooms you’re not using. For homeowners and businesses with areas that are hard to reach or where ductwork connections are impossible to make, a single ductless system can be installed as a solution. Ductless can be expensive to install if you already have ductwork, so let us take a look and find the right option for your needs. We know how to fix any make or model of ductless system, let our technicians locate the issue and give you an on the spot estimate. We’ll go over the problem, explain the work needed, and answer any of your questions before beginning work. Whether you need a part replacement or help with a clogged drain, we carry almost every part needed to fix the problem quickly. 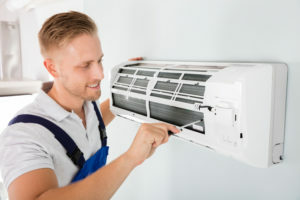 It can be easy to forget about maintenance for ductless systems if you’re used to the large equipment of a central AC, however, these systems also require seasonal maintenance to be ready for use year round. Avoid repairs and early replacement by getting our maintenance service which covers filters, cleaning, evaporator coil inspection, and a deep cleaning of the inside parts where mold and dirt accumulate. Give Superior Mechanical Services, Inc. a call for help with ductless systems in Livermore, Dublin, and Pleasanton, CA now at 925-456-3200 or 888-544-4111. Ductless Heat & Air Conditioning not what you’re looking for? Check out our AC Services, Repair, and Installation as well as our Heating Services, Repair, and Installation.